TROPICAL COCONUT PIE! 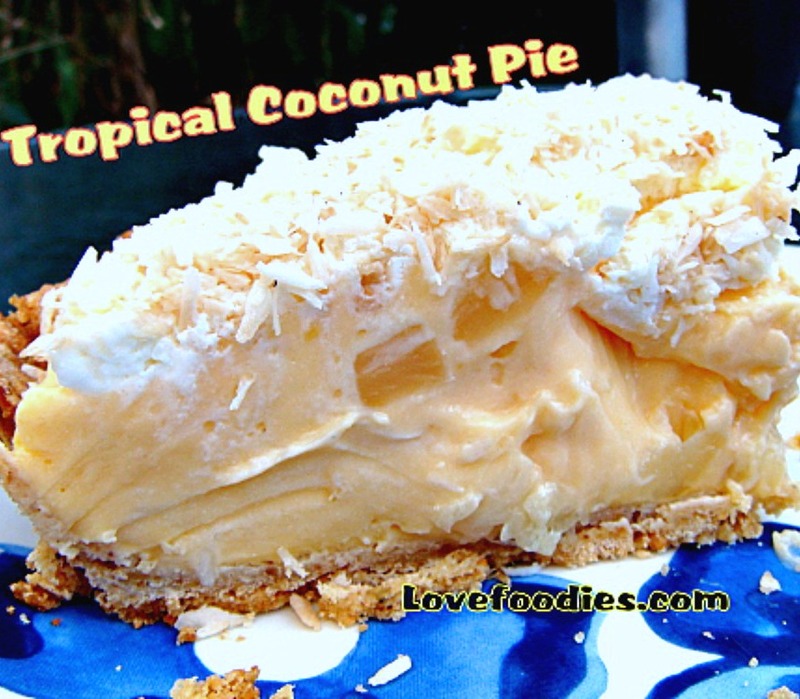 It is so creamy and has a rich coconut flavor, laced throughout with juicy pineapple chunks and a crispy pie crust. Heavenly! Categories: Desserts, Holiday Treats, Pastry recipes | Tags: Christmas, coconut, cream, custard, pastry, pie, pineapple, Thanksgiving | Permalink. Here, I give you 2 options to make this, from scratch or cheating I made this yesterday for some friends, we had a BBQ then this dessert after and oh boy! I knew I should have doubled my recipe! They ALL wanted seconds! haha!! Next time I will do extra! Please enjoy and have fun making this! 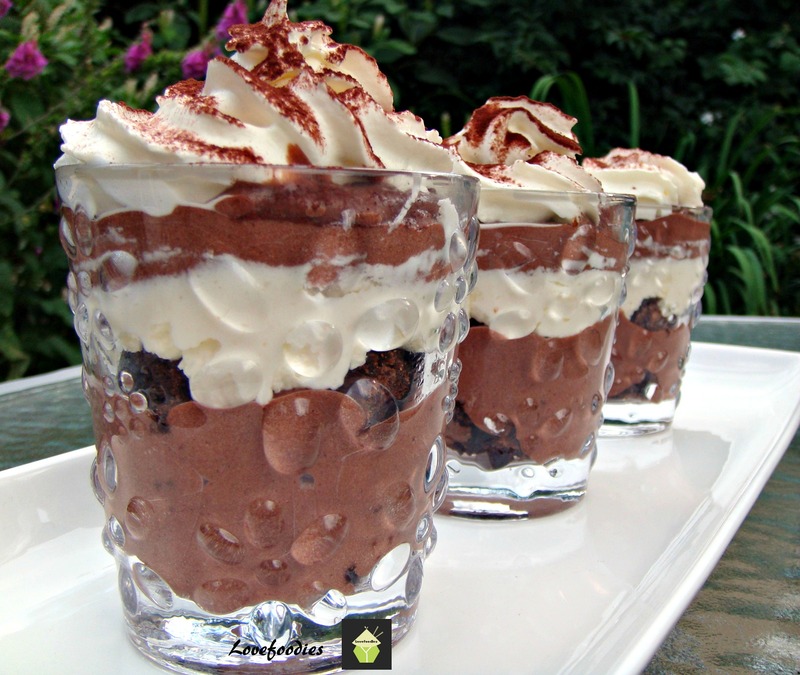 Dreamy Chocolate Trifle – Lovefoodies. Categories: Desserts | Tags: brownies, chocolate, custard, dessert, pudding, trifle | Permalink. 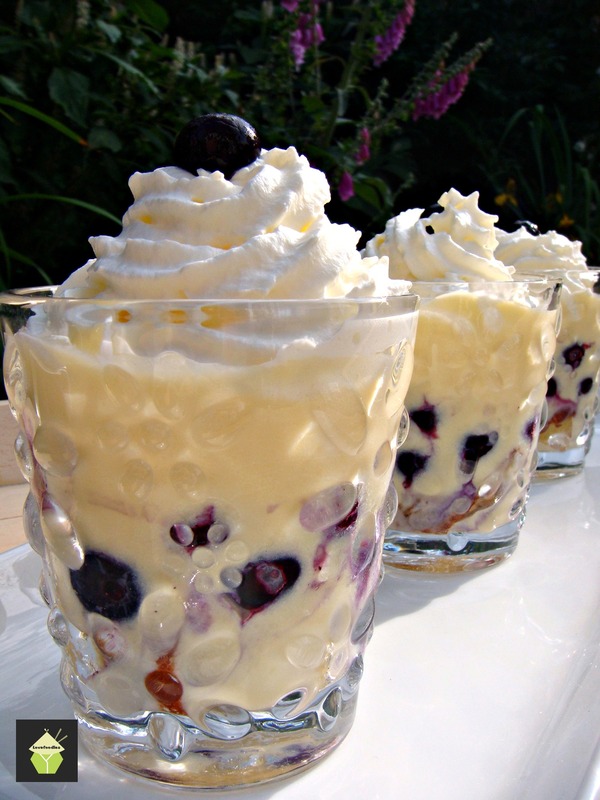 Blueberry & Lemon Trifle. I’ve got 2 options here for you, made from scratch or using ready made ingredients. You choose which is easier for you. This is just oooooh sublime! Please enjoy friends! Categories: Desserts | Tags: blueberry, cake, chilled, custard, dessert, from scratch, lemon, sweet, trifle | Permalink. Tropical Coconut Pie! This little monster of a pie is made up of a wonderful crisp Pecan Pastry Base, filled with a creamy coconut custard and pineapples and then topped with fresh whipped cream and a sprinkling of toasted coconut. Ahhhhh what more could a pie need?! Please enjoy! Categories: Desserts, Holiday Treats, Pastry recipes, recipes | Tags: baking, Cooking, cream pie, custard, dessert, food, how to make, ingredients, lovefoodies, pastry, pie, Pies and Pastry, pineapple, recipes, sweet, tart, whipped cream | Permalink. Strawberries And Cream Tiara! Oh it’s so delicious!!! Categories: Desserts | Tags: chilled, cream, custard, dessert, easy, how to make, ingredients, recipes, strawberry, sweet, tiara | Permalink. velvety…..smooth……caramel……..custard……. sublime…. CARAMEL CUSTARD, LECHE, FLAN, EGG CUSTARD… it’s all the same! Categories: Desserts, recipes | Tags: baking, caramel custard, chilled, Cooking, custard, custard jelly, dessert, desserts, egg custard, flan, food, how to make, ingredients, leche, lovefoodies, recipes | Permalink. Egg Custard Tart. This is one of my favourites! It’s smooth, silky and simply a delight to eat. Warm or chilled, tastes great whichever way you eat it! Categories: Desserts, recipes | Tags: baking, Cooking, custard, desserts, egg, Egg Custard Tart, Egg yolk, food, how to make, ingredients, oven, sweet, tart | Permalink.